Projects financed by BADEA are top priority for the beneficiary countries and form an integral part of their development plans. Sometimes, these projects are regional in scope and are intended to have a positive impact on more than one African country, thus, contribute to the economic integration of the targeted countries. BADEA’s contribution in financing a project could reach 60% of the project total cost, provided that this should not exceed US$ 20 million. Exceptions may be made when the total cost of the project does not exceed US$ 15 million, in such case BADEA’s contribution in funding can reach a maximum of 90% of the total cost of the said project. In addition, a country may receive more than one loan during a year on condition that the total amount of the loans provided to the said country does not exceed US$ 20 million annually. 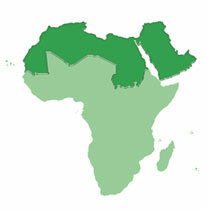 BADEA finance technical assistance operations through the provision of grants to beneficiary African countries. BADEA also finances operations of Arab exports to African countries beneficiary of its support.